The E10K’s bass is more detailed and tighter now. With both the boost on and off, bass body of the E10K is lighter than before and that actually is a good thing. With headphones such as the Philips X2 bass can get a little overpowering on the old E10 and with the new tuning this improves a lot. Unfortunately there still is a small issue with channel imbalance on the volume pot. This is mostly noticeable and annoying for low volume listeners and IEM users. The volume pot besides that is very quiet. I’m sure that over the course of time when dusts starts to pile up inside the unit it might get more noisy just like my other E10 units, but those are worries for later. Right now it is smooth and quiet, just how I like it. Ever since the E10 came out a lot of companies have entered the sub $100 USB DAC/AMP market. Some have succeeded and a lot more have failed. Making a device with good sound quality under $100 doesn’t seem to be that easy. I’m still waiting for my new Stoner Acoustics UD120 but the E10K surely tops the original UD100 as DAC. It has more detail and it’s more musical and dynamic. I actually think the DAC part is nicer than the DAC part of the X3 (a WM8740) that can be used as a DAC only. And yes, that’s the DAC chip the old E10 had. All other AMP/DAC combos I have here right now, like the Resonessence Herus and The Cypherlabs Picollo DAC, all sound quite a bit better than the E10K but that’s only normal as they are playing on another level. I’ll surely add a comparison to the new UD120 DAC and GEEK once they arrive. Headphone wise the E10K can take on a lot. Of course I don’t advise using this for your 300 ohm Sennheisers or 250Ohm Beyers but it does work. Same goes for your orthodynamic headphones actually. While it has more than enough power to drive the Audeze LCD-XC, you won’t get it to sound great. The E10K was made for the easier to drive headphones and in my opinion this new unit is even more versatile than the old one was. With the extra detail, more clear sound, bigger sound stage and slightly lighter bass a lot more headphones are likely to sound good with the E10K. 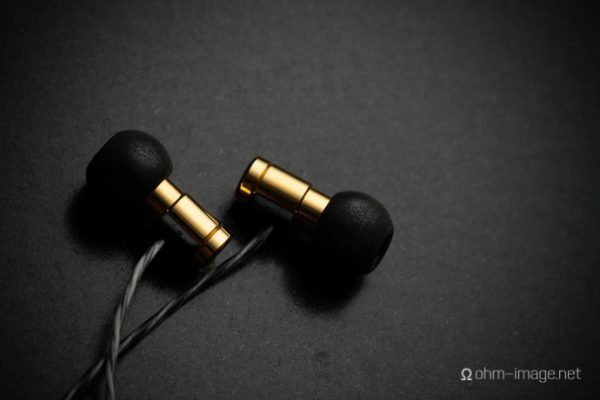 Besides the before mentioned high impedance headphones and Orthos I haven’t found a single head- and earphone in my collection I did not enjoy when using the E10K. The old E10 gave you a warm, musical and fun sound. The new E10K gives you all the good things of the E10 but with more detail and clearness while keeping it very musical. The E10K of course isn’t a high end top quality sounding unit though. Keep in mind this is not even an $80 unit. That being said, the quality and musical enjoyment you get from the E10K Olympus 2 is extraordinary. To me the update of the E10 to the E10K is a big success, I think it’s better than the E11K upgrade actually. I am sure the E10K will be here for many more years. I bought three E10s myself and one just serves as a USB to Coax convertor in a desktop setup. These little units are so versatile it’s hard not to love them for the small price they’re selling for. It only costs $75.99 on Amazon.com and I even found it for 65.99€ on Audiogarden.fr. Looking at what the E10K does and how it sounds there can be only one conclusion: The E10K Olympus 2 is the new Price-Quality King in the low budget AMP/DAC combo market. Heck, I’m even sure it outperforms a lot of the more expensive units as well. I did forget to mention that the E10K, just like the new E11K now comes in a new box. Unfortunately you don’t get those lovely metal boxes anymore and that’s too bad. They were quite fun to have and to use for other things but this alone will not make it any less of a King. The new E10K is still a Headfonia favorite. L does Ohm Air! A Podcast. What budget AMP/DAC(s) would you recommend for a 250Ohm Beyerdynamic? I’ve got the DT880 and was looking at an E10K. Every other recommendation (like O2/ODAC or Magni/Modi) is easily 200 euros and up. probably something like the JDSLabs C5D but that is $249 as well. the best advice probably is to get a 32 ohm Beyer, the 250Ohm beyers were made for use with good gear. I already have the 250 Ohms Beyer. So your advice would be to just save up for better gear? I could also just get an O2, then a DAC later. 250 ohms beyers are easy to drive. E10k should be more than fine. I have a DT 770 pro 32 ohm Beyer and I don’t have any dac nor amp, and from what I read I think it fits good with my headphones and I should get it. How do you think it fits to my Beyer? I’m currently using the Alessandro MS1i plugged into the Avid Eleven Rack through going through my computer. Would the fiio e10k be an upgrade? Does this bring it more in line with the E07K? Is there still a clear jump in quality with the more expensive unit? Ooooh! It has a bigger footprint than than the 7 though, right? Wow now the e10k as a better version of the e10 – nice! But won’t buy it, because of no support to e17 alpen :3 Anyway guys ready for next week at canjam? How it compares to Dacport? Does the E10k outperform the E18? In the E18 review it was stated that it bettered the E10 in every way. Where does the E10K stand? I just received mine and I’m VERY impressed. Not even for the price….just IMPRESSED. I actually meant how does the E10k compare to the E17. could you please comment on the difference between E10K and the built-in sound card of the latest Macbook Pro (Cirrus 4208-CRZ). there used not to be any difference. Sorry but I have no clue what’s inside Macs, I don’t use any. According to the site you gave, the Macbook can’t deliver as much power as the E10 (and the E10K), and has noise floor problem when playing starts, and has an even worse noise issue when plugged into AC power. Site you gave indicated that the E10 is superior to the Macbook. My E09K+E07K – sounds more enjoyable for my HD558 and SR80i, when I watch action movies or listen to some R&B, male and female vocals or the Dave Grusin and Lee Ritenour type of music. I may be wrong, but my E11K “should” sound similar to the E10K. I expect to receive my E10K by Tuesday (it is Saturday here) that will take its little corner on my work table in my office. For your $300 budget, you may wish to add The Island from Alo in your list. I heeded a wise advise to get the O2 instead, becaue of my music library. I hope the above added some “hhmmm….” in your next upgrade. I will have a look at the O2+X3 combo. Initial expressions on 10K? Is the powered hub for power only, or is it for the same purpose as on iOS (circumvent locks in firmware, etc.) ? Yeah, he did say that it would drain a lot of power otherwise, but maybe then a powered OTG cable would work? I’ll buy one and let you guys know. I am currently using the original mode; Fiio E7 DAC/Amp down at work. How much of a difference would there be with the new E10K? I like the E7, don’t really need more volume but DAC accuracy/precision would be my main interest. I also hear the bass boost is a bit different between the two, can anyone comment? I occasionally use the stage 1 bass boost on the E7. I just picked this up after listening for half an hour to this and an E17. The E17 has perhaps a slight edge when it comes to instrument seperation and detail which I noticed most on some cello music. I went for the E10 because it was more musical to my ears and more fun all around to listen to, I found the E17 just a bit tiring at times. Unfortunately my dealer didn’t have one yet and when he gets stock in I suspect it’s going to be 150 euros at least. I expect it’s going to be great. I think where the strength of the E10k lies is that it’s a DAC for the rest of us. It’s affordable, it has a very accessible sound and it’s reasonably easy to get one. I still use them from time to time! from their bass,mids,highs,pace and soundstage for rock listening? I don’t think you could separate pacing for these amps from the headphone you use – there’s just not enough resolution for that. The other properties I couldn’t comment on except for soundstage of the PA2V2 compared to several FiiO amps I’ve had. I don’t think the PA2V2 has any DSP inside, but it has always impressed me as having a more spacious presentation. When I tried to qualify that with tests, I didn’t find anything specific, yet that quality persists. So I can’t say whether that “soundstage” is really a factor or not, but it does justify its price. Now the PA2V2 improves the sound of an iPhone5, but little or no improvement to the iPhone6 or 6-plus, so I messaged the guy who makes them to ask if he’s planning an upgrade, and he said that he can make a better amp, but doesn’t have a timeline. pa2v2 is an amp so it doens’t has a dsp,right? but thanks for the reply…I think. Its sounds pretty good for 70$ dac/amp. But ODAC (jds) is better. The ak100mkII , is also better. Where is the differences ? When you hear a good solo (guitar or vocal), with ak100 or odac, it is in front of you. When comparing it with ODAC, it connected to NECO Soundlab V3. The ODAC/O2 is definitely one of the best in mid-fi amps, and the FiiO amps** are below that level for sure, but offer good value for price. **I haven’t tried the E17k yet – am very hopeful for improvement over old E17. On the second thought , what the point to get an amp, if it it totally destroys the most interesting part in music ? The mids are just no there, there as somewhere, but not inside the phones. So if it pretty cheap, 70$ is still a money, and there is no reason to put them to a bad product. E10K, it’s small, it’s cheap, and it will destroy all of the Vocals and guitars solo. So … Skip it. IMHO. p.s. : after hours with FIIO X5, a can say for sure, X5, is also bad product. If the IPOD classic 80gb, that is almost 7-8 years old is sounds better and with so much better UI , so why to put your money on it ? AK, is better in any aspect. I have money, and I love my FiiO’s. If I were selling in a store, I think I could sell a lot of them, for use with phones and simple music players. Don’t let Dimitry hear it. One could argue that brands like Fiio do a lot more for music lovers than $30,000 DACs and the like. I’d like to have one, just to rub it occasionally for good luck. I actually picked up some E12’s for merchandize at an unbelievably low price and they were all sold within a day. Then again, I only asked 70 dollars a piece. I use mine, just the way you described, for a simple use with iPod. not too expensive a set-up for on the road, occassional use. great stuff. I was looking to get another E12, but Amazon is maintaining the $139 price. I just send you an email on your disqus registered mail. so… a 600 euro unit outperforms a 80 euro device? Gee, that’s weird! When you play the cheap amp *after* playing the expensive amp, then yes it sounds cheaper. But to say it destroys the music, is like saying if I eat a $10 meal *after* I eat a $50 meal (maybe 6 hours after), then the $10 meal is bad food and upsets my stomach. Well, no. sorry but that’s certainly not true at all here. Think you got a bad unit Dimitry. I want a new dac, but i dont no what is preferred. The Amazon reviews are not good for the Sanskrit. I would choose the Schiit (but you also need an amp). If you want DAC and amp both, then E10k. I dont want amp, just dac. Thank you! Using the E10k or E17k as a dac only ..paired with something like the Cayin C5 ..Which one is a better perfomer in your opinion ? 250ohm and i want to know how it’s work for you? some people say the E10K can handle the DT 990 and some say it can’t. I’m not familiar with the DT990, but the DT770-32 is a huge hit at Headfonia. The G4ME Zero is known for a large and accurate soundstage, and the DT770-32 should come close to that. But maybe close enough isn’t what you want – you might want something even better. The $400 B&W P7 isn’t such a big hit here, but I’d suggest taking a long look at it. It has a little enhancement at both ends, for a lively sound. And the build is great. If someone here could convince you that the DT770-32 is better than the P7, check it out. But if I didn’t get the 770-32 I’d skip the in-between Beyers and go for the T90. Forget the T51p – too bland – OK for jazz, but not for pop music etc. Most of the other brands are ‘lifestyle’ designs, like the HP50, Momentum, Focal series, and so on. Most of those have ‘relaxed’ highs, which could be good for music with strong sibilants and other harshness. So what’s wrong with the DT990 250ohm exactly? It’s just a bit confusing seeing as I’ve read loads of user comments and reviews saying how great they are, and that it’s not an issue to run them off the E10K. Given the price… half and in some cases a quarter of some of the other suggestions here… are they REALLY that bad a choice for open style headphones? From what I remember the 990 is cheaper and lower quality than the 880, and also much brighter. One person I know who has reviewed these together is the guy at NobleHiFi – he can probably tell you about the comparisons between the 770, 880 and 990. Yes the 990 is cheaper than 880, same price as 770 (32/80/250ohm). All reviews complement the quality however, so they are not poor quality in and of themselves. Of course there will always be something better that’s more expensive. I probably should have mentioned that my budget is that of around the price of the 990/770… so suggestions double that price, while interesting, aren’t really an option. I can’t say that I agree with any of Edd’s reviews either, but if someone is looking for a second opinion by a guy who knows those models and who takes his reviews seriously, I usually point them there just for the basic information. I’d like to have another second-opinion source, as long as it isn’t somewhere the user would get totally lost. So, as to OPEN style headphones within the same price range as the DT990, what is the best pairing for the E10K? Maximum output power is 200 mw at 32 ohms, no doubt a fraction of that at 250 ohms. Fiio recommends a headphone maximum impedance of 150 ohms. But with all that, I like to cheat myself, and sometimes I get good results on many or most of my tracks. But you’ll likely get a lot of soft clipping with the 990/250, which could still sound pretty good, but you lose some of the benefits of clean amplification that way. Beyerdynamic lists the DT990 Pro as having a sensitivity of 96 dB/mW. So we want to figure out how much power we need for 14 more decibels. It just so happen that if you divide the change in decibels by 10, then do 10 to that power, you get the change in power. In this case that’s 10 ^ ( 14 / 10 ), or just about 25. So now we know we need an output of 25 mW for 110 dB with the DT990. Now, how powerful is the E10K? This will depend on the headphone’s impedance and the amp’s voltage output. Sometimes the amp’s spec page will publish the max power output at various impedances, in which case you can just use that. The E10K only tells us the power at 32 ohms which isn’t much help, because the DT990 has an impedance of 250 ohms. But it does tell us the max Vp-p (peak-to-peak voltage) of 7.39 Vp-p, which we can use. First, though, we need to find the Vrms (root mean square voltage), which is more useful for audio. It’s easier than it sounds; for a sine wave like our audio signal, you halve Vp-p to get the amplitude, then divide that by the square root of 2. In this case that’s ( 7.39 / 2 ) / sqrt(2). The E10K is capable of up to 2.6 Vrms in a best case scenario. What’s that mean for power? Converting to power is pretty easy too, you just square your Vrms and divide by the headphone’s impedance, which gives you a value in full Watts. Then multiply by 1000 to get that same value in mW. Then the E10K should ideally be capable of ( 2.6 ^ 2 ) / 250 * 1000 = 27 mW at 250 ohms. Now, most amps can’t drive their max voltage into every impedance, it can fall off due to output impedance on the amp or a limited amount of current. That’s a story for another post, though. The E10K should be pretty capable of 25 mW into 250 ohms, it’s not a difficult load. But, I’ve seen DT880s measured as needing up to 3 Vrms for 110 dB as opposed to the 2.6 we tested here, meaning official specs were not accurate. Still, remember that’s only if you need volumes of 110 dB. As volume goes down power goes down rapidly (about half the power per 3 dB down). I think you’ll be just fine with the E10K. If you feel safer with something else, look for something capable of 36 mW at 250 ohms, or 3 Vrms, using the equations I posted if needed. I admire the math here, but is the picture that simple? Is the DT990 impedance curve really flat? Does the 110 db account for all transients? If you’re going to do measurements you have to know all factors. I don’t know, this is all way over my head tbh lol! I agree there could be some debate here, but ‘Headfonia_L’ did say that the DT990 250 “can simply not be driven by the E10K” which I am having trouble understanding how he can be so emphatic about. Thanks. I didn’t mean to sound argumentative or anything, I just wanted to understand what you were saying. But yes, I guess the only way one person can know is to listen to both and make their mind up. It’s probably like wine in that respect, you can say one grape is better than another, but until you try both you can’t know for yourself, or appreciate the difference. Would you say the magni/modi 2 would be a big step up and provide noticeable improvement over the E10K, with the DT990 250’s? And I didn’t mean to be rude, sorry if it came over like that. Some people say and LCD2 can perfectly be driven by the AK240, but if you know how the LCD2 is supposed to sound when using a proper amp for it, you wouldn’t make those claims. Not at all, I appreciate your expertise, and I’m very new to audiophilia (that sounds wrong lol), so I am in no place to question really, I just was a bit confused by the contradictory reviews/comments I’ve read. So would you have a recommendation for an amp that WOULD drive the DT990 250’s very well? The magni/modi 2 seems to get great reviews, and it’s JUST within my budget, but I don’t know how much better it would be. It’s nearly 3 times the cost of the E10K, but is it 3 times better? I’m sure the Schiit amps would sound better, but someone needs to compare the power output to 250 ohms. I can’t really add anything that L hasn’t already said, but I will say that this issue isn’t like which grape or which wine tastes best, or whether the grape is ripe enough to make wine from. This is about dynamics mainly, and a couple of points to consider: One is that dynamics, or transients etc. demand a great deal more power than what is considered adequate for “normal” use. If your use isn’t critical (portable, noisy environments etc. ), or you can live with “soft clipping”, which doesn’t sound all that bad, then maybe the E10k would work OK, if your music tracks have adequate volume. Point number two, about the impedance curve, is if it goes way up at certain frequencies, then there’s more of a power demand there, and you could get worse clipping at those frequencies. BTW, I don’t remember ever discussing impedance curves before, because it never seemed necessary. But if users are trying extra hard to pinch pennies and go against the usual advice on amplifier power to save money, then that’s one of those monkeys in the wrench that can trip people up. I am satisfied user of E10k with ASIO driver installed and Beyerdynamic DT 1770 pro at 250 Ohms. Compared to 32 Ohm headphones the volume is not so loud but for general usage it is really OK, usually I use volume at 2-4. Even at max volume it is still “at the limit”. The best is to check with your headphones and if not happy you can always return it. I am not aware or theory behind it. I can imagine that with dedicated DAC I can get improved performance but for me and my ears it is just fine. Never had better performance before – I mean if you go up compared to previous audio equipment you own then you should be sattisfied. I have owned a DT990 600 ohm for a while now and if you’re opposed to really “hot” treble, stay away. It can be really harsh, ear-piercing and sibilant. After trying headphones that aren’t nearly as exaggerated in the treble, I can definitely say I’ll never buy another headphone like the DT990 ever again. The Philips Fidelio X2 has a similar amount of bass, but is closer to an all-around balanced headphone. The soundstage isn’t as wide as the DT990 or any open-back pair by AKG. It’s not bad either. The X2 is extremely easy to drive which is nice. The X2 doesn’t cause any hotspots and almost feels weightless even after long listening sessions. You will see benefit in replacing the stock cable on the X2. The stock cable is awful to be honest. I spent like $10 on a 3.5mm M to M cable by kabeldirekt and the SQ was a bit improved (not tons), but is much less microphonic. I have shag carpet in my listening area, so the braided stock X2 cable drags a lot. Lol. YMMV. I have the PC363d with is very similar to the Game Zero just an older version which is almost the same and it works great with the E10k. how about E10K vs E17K? Do you know about when you are going to post it? or could you give us a sneak peek of its noise floor with iems? Hi-Fi devices are very sensitive to noise and distortion, precisely because they’re Hi-Fi. I have read the article and I’m not sure, I have a pair of LCD2 rev2 and a La Figaro 339 and are more than happy with the sound. I mostly listen to Infected Mushroom (yes l should get a Violectric or Burson to get out max). But now I need a portable amp, and do you think I would be pleased with the FiiO 10K – with in mind that I’m pleased with the 399 setup? Thank you for all your great articles/reviews. Hi John, for what headphone would that be? With what source? Source: iPhone 6s + and the E10K – would it be an ok match with the LCD2.2? As I mentioned above I am more than satisfied with the sound with the imac+Cambridge audio dac magic+La Figaro 399 so that is my reference. I missunderstood the meaning “The E10K in no way “does” the LCD2. And thanks for the answer which portable amp+dac that can be used with my LCD”. Headfonia_L: Do you have a dac+amp in mind that can handle the LCD2? How about the Audezee CX – any FiiO-amp that can handle them? I’m curious. We are talking about $1000+ headphones, yet you want to find the cheapest portable amp. Hehe Dave that’s a Iegitimate question. To buy the headphoneamp’s it would be cheaper to take a airplane-ticket to NY, than buying them over internet. Well, Cypher labs lists a distributor in Sweden called Audiotrade. Maybe see if they can be of any help. I havenow decided to buy a non-portable amp, (due to my LCD2 insn’t closed and, Im moving to another city soon and there I wont need the portable sulotion (no subway). Which is the best match for my LCD2: Burson HPA 160D or Bakoon HPA-01? I can get them both for about the same price. Thank you evereyone for your help, and sorry for going off-topic. If there is any way to get your hands on a Violectric amp, that’s what you want for the LCD’s. I haven’t heard either of those, but I disliked the LCD 2 and 3 with the Burson Soloist SL tremendously. Yeah I have tried my LCD2’s to the Violectric and it sounded great, it had more than enough power to Infect the headphones. On the Viokectricscene I am a bit I updated which is most fitted to the LCD2 and LCDXCS, if it has a dac it’s a great plus. I prefered the Burr Brown before the Sabre because it had a little more “body” and was less analytic and sharp that the Sabre could be sometimes. Hope you like it. I have to admit I hated the LCDs with Burson (of course that was the SL), but to each their own! Dave I partly agree, you get an extremely well-controlled audio-picture, with the LCD2.2 the extreme control can also make it make it sound “pent” or maybe “stuffy” is the right word for it. 1. A really great solid state headphone Amp. (I cant leave my La Figaro 339 on when leaving home, because of the hard to get tubes). 2. A decent/good Dac to the amp. 4. Remote-control = No more complaining from my girlfriend because she has to get up from the sofa to change the volume. Yesterday it ended up that I bought a pair of LCD-XC (also to please my girlfriend), at the same time a Bakoon Audio HPA-01 followed me home – WOW! How is the combination with the Fiio E10K + my LCD-XC? It should be able to drive it fine. Not sure how good it will sound. 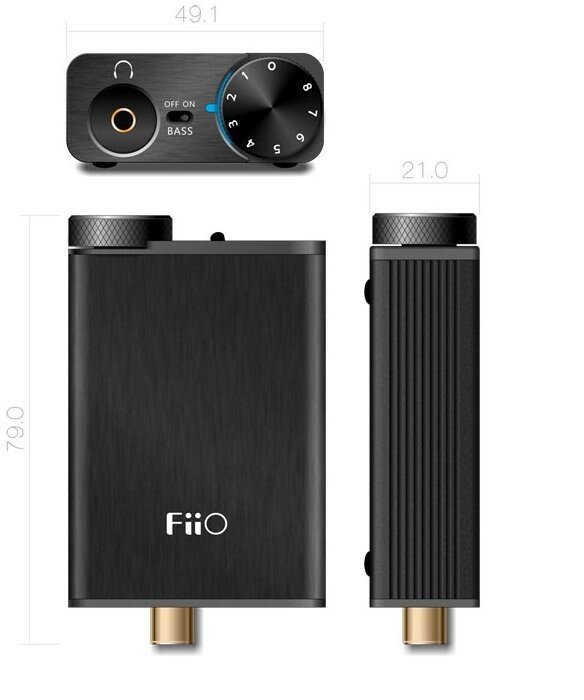 The iPhone 6s DAC is probably comparable to FiiO’s, then the amp in the FiiOs wouldn’t help except add more volume. I’ve run my iPhone 6s with the E17k, which sounds good, but there wouldn’t be any reason to unless I were desperate for greater volume. For sound quality and dynamic headroom, no. The e10k can’t be used as a portable amp. If you are looking for a portable solution to use with the iPhone and the LCD2, The Cypher Labs Theorem would be your best bet, but that is a fair bit more expensive. Guys, I read the article (and lot others as well). I still have a couple of queries … My setup is a) Logitech Z906 speakers & b) Sennheiser HD598 headphones. These are plugged onto my PC (running Windows 10 with Realtek ALC892 audio onboard driver) …. Query 1: Will I be able to use the Digital Coaxial & the front headphone out at the SAME time? The reason being I will like to bypass my onboard sound card but pass through the Digital coaxial onto my Z906 which being a THX certified speaker might not need the Fiio’s function (In fact, I am not even sure whether it will be able to handle the DTS, Dolby, etc. other audio signals … hence, a pass through will be appreciated). The device will be used mostly for my Sennheiser HD598. Granted that I won’t be needing both the outputs at the same time, I still wish to keep my options open. Query 2 : Is the DAC + AMP feature of the E10K better than X3 (yes, you can use it as a standalone USB DAC)? Query 3 : I read somewhere that the USB cable provided with the E10K is pretty rubbish and should be upgraded to a 28/24AWG USB Cable. The supplied cable is 28/28AWG. Any remarks on this? Though technically I am not an Audiophile, I do like listening to clean, clear sound with just about enough bass (the HD598 has enough bass for my taste). I also have a Fiio X3, a Cowon iAudio 9 (which I rarely use) and a Yamaha EPH-100 to couple with these ! Great ! Thanks … already placed an order through Amazon … This rubbish onboard sound for my HD 598 is driving me nuts !!! Can the E10K Olympus 2 do a good job with the Beyerdynamic DT 770 Pro 250 Ohm? I have just bought them and I had a doubt about. I have a DT1770 Pro 250 ohm and a FiiO E07k, so they should be comparable, although the E10k is newer. When I play a low-volume track on the E07k with 6 db gain, it plays loud. At 12 db gain on the E07k, it’s VERY loud, and that is a low-volume track. Thank you for answering me and for sharing your experience. The E10K is quite nice and is better than you think. Your sound will be ok but not as good as the headphone can sound. To be used with (sources). The iPad rules out the best sound for $150 – i.e. the Dragonfly v1.2. 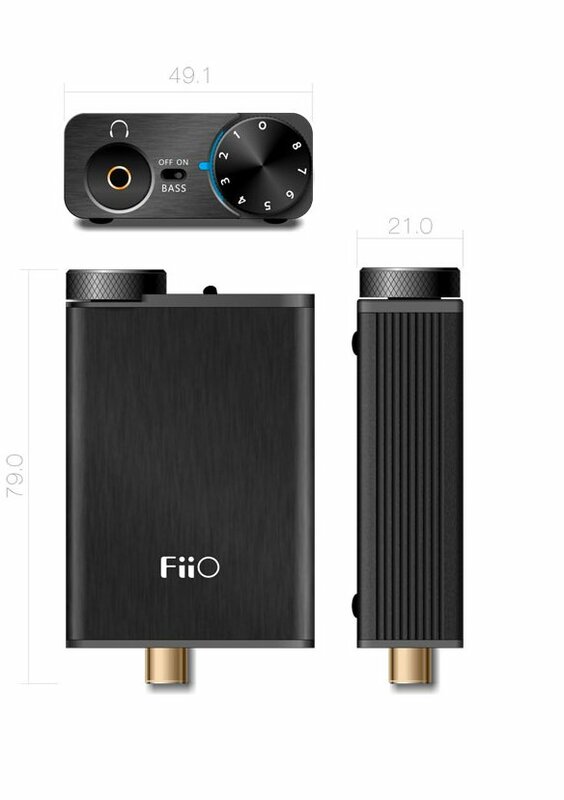 So to use with the iPad, you could use one of the FiiO DAC/amps, and also use that with the laptop. Many laptop computers will already sound as good as the FiiO DAC/amps like the E17k, E10k, etc., so you might have to keep looking for someone who has compared several, and found something better that works with both. The times I’ve looked for an amp (sans DAC) that would really improve the sound of my laptop and my iPad, I came up with 2: The $375 Zen Head and the $500 Portaphile Micro. I had the FiiO E12, and I liked it, but it was only good for more power, not so much for sound. Tnx. I will search for someone that compared several already. Some of the tube amps around $130-$150 are quite good. I like my Bravo Ocean. The DT770 is a very crispy sound, so I think the FiiO would be a good match. But if you want the most razor-sharp sound, a better amp would do that, like Lieven said. how would the E10K fair with the Oppo Pm-3’s? Thank you very much! When you say an alternative source, what would you suggest if on a budget to get the best i can out of the PM-3’s? Hi, I would like to thank you for the amazing job you have been doing for so long! I own a pair of Philips Fidelio L2 that I really love them. My use is mainly on the go (Spotify on my Mac), I usually work in different places in the same day. 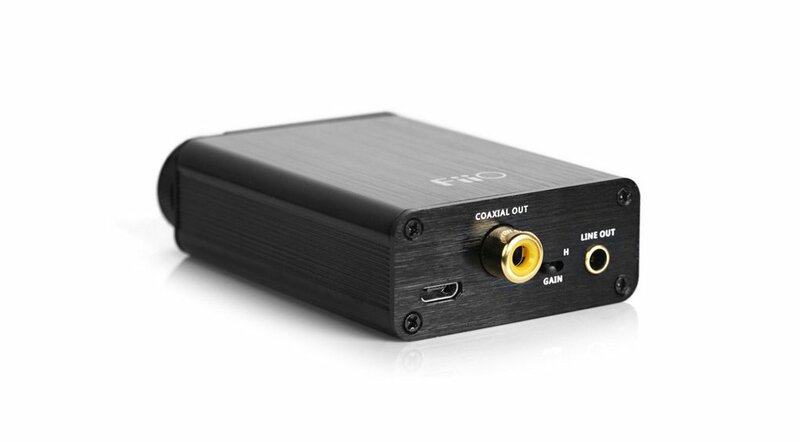 I am looking for a small DAC like the Fiio E10K, do you think it’s a good fit for my Fidelio? Thank you. Thank you so much for your kind reply. Do you have any other pick in this price range that would you suggest instead of the E10K? I ran the K1 against the E17k yesterday. I would not buy the K1 unless I could not buy something better. The E07k is very close to the E17k – I suggest the E07k if you don’t like the E10k. But you lose the knob with the E07k. Thank you so much, I think I’ll go for the E10K. FiiO E10K USB DAC & Headphone Amplifier and the HiFimeDIY SABRE DAC 2, UAE23+ Asynchronous USB DAC with headphone amplifier and built in USB isolator. You can check it out here >>> http://hifimediy.com/DACs/usb-dac2 <<< I would appreciate your advice for this will be my first DAC and I want to make a good choice.